_MAL7400, originally uploaded by Michael A. Lowry. Last night Chicago was packed. The feeble air conditioning just couldn't keep up, and we were all sweating. 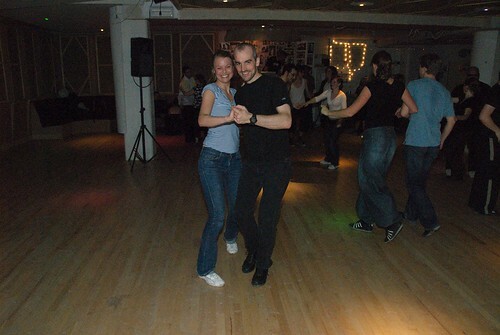 I met some good dancers there, including Johanna, who has lived in NYC for several years. I saw another photographer there too, but I neglected to get his name. Maybe next time. Here are the best 38 photos from the evening.